Pre AVG: Attended Kansas State College, was a member of ROTC. 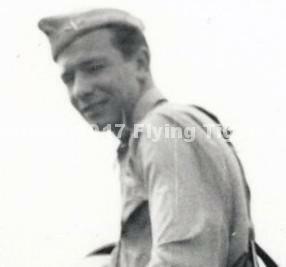 Enlisted in Army Air Corps and received wings and commission at Kelly Field December 20, 1940. Wingman, then Flight Leader with First Pursuit Squadron. Rejoined the Air Force as a Captain, returned to combat in 1944. As Major, was Commanding Oficer of the 12th Fighter Squadron (Dirty Dozen) 18th Fighter Group 13th Air Force in New Guinea and the Philippines. Flew 83 missions. Returned to the states in May 1945. Received Honorable Discharge after VJ-Day. With wife Betty, owned and operated Ed Gabe’s Lost Lake Resort near Eagle River, Wisconsin. Retired from resort operation and moved to Florida, where he was involved in Real Estate Sales in Lehigh Acres, Florida.